Malnourishment is not hunger! Although global hunger is an ongoing struggle for more than one billion people, severe acute malnutrition is a more serious condition causing 45% of deaths in children under five years old. Worldwide, 34 million children are living with malnutrition, and every year at least one million of them die due to severe malnutrition and related diseases. Every year the shift towards cold temperatures in winter marks the beginning of flu season in the northern hemisphere. The spread of the flu virus is further facilitated by people gathering and staying indoors and by people with compromised immune systems. Therefore, many turn to supplements to support their immune system and boost internal protection against viruses. However, in choosing supplements most of us miss an important aspect that is the efficacy of the supplements to support healthy blood production and a strong immune system. This may be a reason why some people, despite regularly taking vitamins, become sick simply, because their body may not be properly absorbing the supplements. This knowledge is particularly important and something we should retain, as we get older. The pancreas, located directly behind the lower part of the stomach, is a vital organ secreting various digestive enzymes and hormones (e.g. insulin) that regulate blood sugar levels in the body. 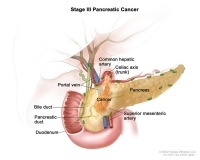 Cancer of the pancreas is a serious and almost always fatal disease. It is the twelfth most common cancer in the world with 338,000 new cases diagnosed in 20121. However, it is projected that pancreatic cancer will be the second deadliest cancer by 2030. According to the American Cancer Society’s 2014 estimates, 46,420 people will be diagnosed with pancreatic cancer in the US and 39,590 deaths are expected to be due to this disease. 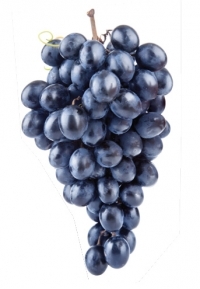 In Europe, there were approximately 103,845 cases of pancreatic cancer in 2012. Only 4-5% of the people diagnosed with pancreatic cancer live beyond 5 years after their diagnosis. This is because pancreatic cancer is usually diagnosed at a very late stage due to a lack of specific symptoms and, similarly to other cancers, no effective cure is available. Gum disease affects everyone and is not exclusively a childhood disease. The Centers for Disease Control and Prevention (CDC) estimates about half of all American adults tend to have advanced gum disease at the time of diagnosis. This is because gum disease rarely produces uncomfortable symptoms until it is in late stages. While dentists look for specific signs to diagnose gum disease, certain symptoms may indicate underlying gum problems. Symptoms such as red, swollen, and painful gums, bleeding while brushing and flossing, constant bad breath, or a bad taste in mouth due to bacterial infection in gum pockets, warrant attention and further evaluation. There are studies proving a connection between gum disease and other systemic conditions such as heart disease, stroke, rheumatoid arthritis, diabetes, and many others. 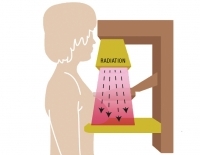 Excluding skin cancer, breast cancer is the most common cancer in women in the US, and about 1 in 8 women are likely to develop it during their lifetime. The American Cancer Society estimates that in 2014, about 232,670 new cases of invasive breast cancer, and 62,570 of noninvasive (in-situ) breast cancers will be diagnosed in the US. Worldwide approximately 1.38 million new cases are diagnosed and 458 000 deaths occur from breast cancer each year. Osteosarcoma is the most common type of bone cancer frequently occurring in children and young adults between the ages of 10 and 30. People over 60 are also at an increased risk. In the US, almost 800 new cases of osteosarcoma are diagnosed every year and more than 400 are in children and teens younger than 20. Initial symptoms of osteosarcoma, such as pain, bone or joint swelling, and decreased joint motion can be misleading and frequently occur in children due to sports and other injuries. 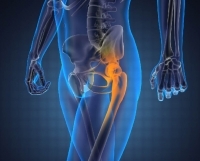 In older adults, the symptoms can be misdiagnosed as arthritis. 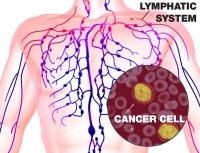 Leukemia is a cancer of the bone marrow, which produces blood cells. Patients with leukemia experience an excessive production of white blood cells (WBCs) or leukocytes. It is the tenth most commonly diagnosed cancer in the US and is the most common cancer in children. In the US, approximately 52,380 people are expected to be diagnosed with leukemia in 2014. The numbers are equally staggering in Europe with 82,329 cases; and Asia reported 167,448 cases of leukemia in 2012. Leukemias are largely divided into acute (rapidly progressing), chronic (slower progression), myeloid, and lymphoid types depending on the type of affected cells (AML, ALL, CML, CLL). The most common type of leukemia in children is ALL, and in adults, it is AML, CML, and CLL. Tinnitus ("Tin-EYE-tus") is a symptom characterized by an auditory perception of noise - or ringing - in the ears. However, patients also describe the noise as hissing, pulsing, whooshing, clicking, or similar sounds in the ear. 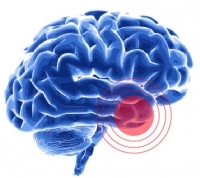 It is estimated that worldwide over 100 million adults are affected by tinnitus. It can disturb their daily lives with hearing loss, long-term sleep disturbances, changes in cognitive ability, challenges in employability and relationships, and it can cause depression. Although anyone can get tinnitus, tinnitus induced hearing loss is the number one service related disability for veterans costing the US government over $2.26 billion in compensation.